The Special Operations Unit of Al-Qaeda is a special and discrete apparatus, responsible for the "external" (out of Afghanistan and the Afghanistan/Pakistan border zone) operations. The unit holds responsibility for the initiation of external operations, as well as the different aspects (operational and logistical) involved in the execution. The unit is responsible for the allocation of the needed special equipment and training, as well as the spotting of Al-Qaeda members who are qualified for this kind of operation. It seems that this unit is operating through different regional extensions spread throughout the international arena. These extensions are probably subordinated to the major central command of the unit that operating mostly from Pakistani major cities. 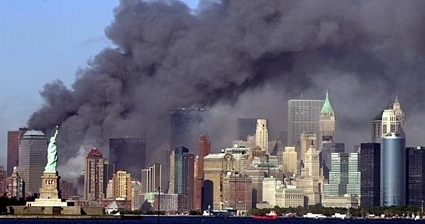 The September 11th attacks in New York and Washington. The truck bomb attack at the Jewish synagogue of Djerba (Tunisia) on April 2002. The attack on a Marines base in Kuwait on October 8th 2002. The car bomb attack on an Israeli owned hotel and the attack on an Israeli commercial flight using surface to air missiles in the Kenyan city of Mombassa on November 2002. The attack on an American army complex in Riyadh, Saudi Arabia on May 2003. The attacks on two Jewish synagogues and which was followed by another attack of two British targets (HSBC and the British consulate) a week later in Istanbul, Turkey (November 2003). The most recent attack: the bombings of the British transportation system in London - July 7th 2005. An attempt to crash American Airlines flight 63 from Paris to Miami using explosives hidden in a suicide passenger's (Richard Reid) shoes. (December 2001). An Attempt to conduct a second wave of September 11th like attacks in the Far East and London Heathrow airport (summer 2002). An attempt to carry out a radiological attack (a "dirty bomb") in the United States using a member of Al Qaeda with US citizenship, Jose Padilla (early 2002). An attempt to carry out simultaneous truck bomb attacks at 7 Western targets in Singapore, including the American and Israeli embassies and the Australian and British high commissions (January 2002). Al-Qaeda's special operations unit was probably also behind the attempt to blow up 15-20 American and British commercial jets flying over the Atlantic in the summer of 2006. It is not clear yet who was behind the attempt to hit London's center and Glasgow international airport in July 2007. It is possible however, according to our assessment, that Al-Qaeda's special operations unit was responsible to this plot as well. The first Bali attack (October 2002). The attack on the Marriott hotel in Jakarta (August 2003). The attack on the Australian embassy in Jakarta (September 2004). All the above mentioned attacks were eventually carried out by the "Jama'a Islamia of South East Asia". The special operations unit of Al-Qaeda is part of the military committee of the organization, directly subordinated to its military chief. It is not clear who was the first "special operations" chief of Al-Qaeda right after Bin Laden's decision to go for external operations. It is possible that Ahmad Abdallah Ahmad - Abu Mohamed Al Masri was the head of this unit, referring to his involvement in Al-Qaeda's first "external operation" in the horn of Africa on August 1998. At any rate, towards the end of 1998-early 1999 Khaled Sheikh Mohamed (KSM) was appointed to be the chief of the external unit and received the "green light" to go for the September 11th operation. After KSM's arrest (February 2003), he was replaced by Hamza Rabia, who continued KSM's activity, peaking with the London transportation system bombings on July 7th 2005. After the elimination of Rabia by American forces (December 2005) Abu Ubeida Al Masri became the new Al-Qaeda chief of external operations and was responsible for the plot (August, 2006) to bomb at least 15 aircrafts in midair with liquid explosives smuggled aboard several airliners traveling from London to major cities in the U.S. and Canada.